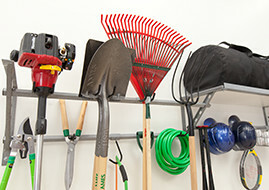 You can change the entire appearance of your garage with one easy-to-use tool: the Monkey Bar garage organization system. This isn’t your every-day storage system. 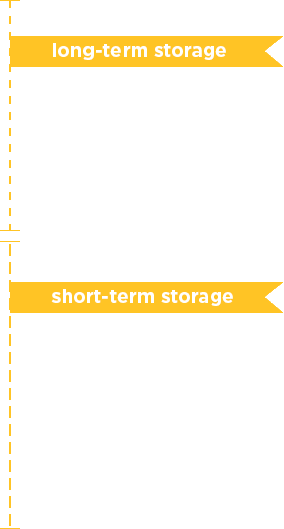 It not only stands up to the heaviest of your belongings, but it also stores them in such a way that they are compact, taking up only a third of the space other storage systems would require. Versatile: Our system allows you to move the bar whenever you want, providing you with a customized storage space you can change as often as you like. Monkey Bars provides you with the space to hang big, bulky equipment, small garden tools, hoses, bicycles, and everything in between. Custom Built For Your Garage: Every Monkey Bars System is built on site for your garage organization needs. Contact us for the top of the line garage storage in Denver! Monkey Bars provides you with an adjustable design so the shelves can always change with your changing needs, to store different items. There really is no limit to the possibilities, and if you change your mind, you can easily rearrange whenever the need arises. This solution for garage storage in Denver offers 11 hooks to place on the diagonal rack, providing you with even more possibilities. Our professionals will provide you with a free no-obligation at home estimate. We will assess your needs and customize a garage storage system specifically for your lifestyle. 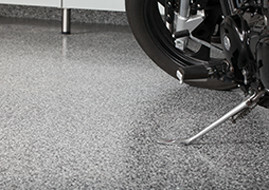 Once you decide what colors, sizes, and quantity, we can get started to give you the garage you've always wanted. You are always in control and you decide what you want, and we will deliver! Store 3x more than any other system! 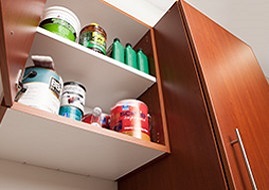 With our shelving system, you can get your items off the floor and neatly put away. Store up to 1000 lbs with the strongest shelves in Denver. Also, hideaway items with our garage cabinets to keep your garage looking beautiful and organized. Get the #1 garage storage Denver families love and enjoy years of organization with a system that lasts. Now’s the time to get organized and see what our professionals can do for you. We have a solution to any organization problem. Call us today for a free at home estimate! Arapahoe County, Denver County, Douglas County, Jefferson County, Adams County, Boulder County and Broomfield County. 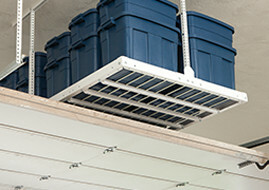 Contact Your Garage Storage Denver Expert Today! Learn more about garage organization here at: Garage Organization Denver.